Scientists at Statens Serum Institut also find that vaccines do not trigger autism in children who are at risk. Study comes amid fears of falling vaccination rates. 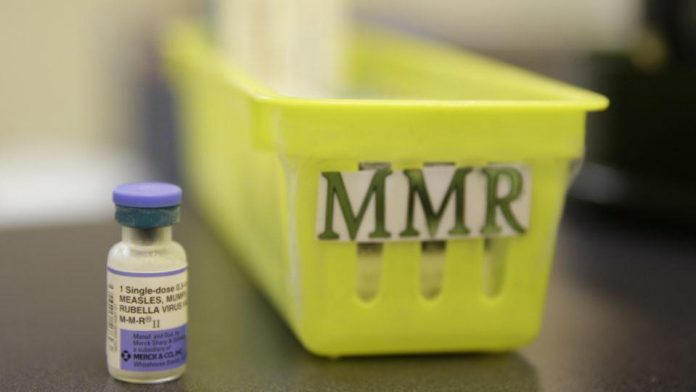 New Delhi: The measles, mumps, and rubella (MMR) vaccination does not increase the risk for autism nor does it trigger autism in children who are at risk, scientists in Denmark have found. Scientists at the Copenhagen-based Statens Serum Institut (SSI) also found that MMR vaccination is not associated with the clustering of autism cases post-vaccination. The study is the latest to dispel the myth that vaccination causes autism, first propagated in a 1998 research paper by Andrew Wakefield, which was published in the medical journal The Lancet. Althought The Lancet retracted the paper in 2010, on the grounds that Wakefield had been “dishonest” with his findings, the 1998 paper had resulted in the decline of the vaccination rates across the globe. Their findings, published in the Annals of Internal Medicine Tuesday, concludes that “MMR vaccination does not increase the risk for autism, does not trigger autism in susceptible children and is not associated with clustering of autism cases after vaccination”. Supported by pharma giant Novo Nordisk Foundation and the Danish Ministry of Health, the study observed that there is “no increased risk for autism after MMR vaccination in subgroups of children defined according to sibling history of autism, autism risk factors (based on a disease risk score) or other childhood vaccinations, or during specified time periods after vaccination”. Medical experts said the study is significant because of its sample size and its timing. “The concerns that there is a link between vaccines and autism has been disproved once again. Over the last 10 years, several studies have already shown that there is no link at all, and this study adds to them by studying over 65,000 subjects,” Sri Krishna, a research fellow at the Centre for Surgery, National Cancer Institute, USA, told ThePrint. There is, however, no clarity on whether the new study will have an effect on vaccination rates in India, where there have been concerns over falling rates in some states. For one, experts are themselves divided over whether the Wakefield study had any real impact on vaccination rates in India. Some like Oommen C. Kurian, fellow, Observer Research Foundation (ORF), believe it did. “The Wakefield paper in 1998 was a potent weapon in the hands of anti-vaccination activists, even in India,” Kurian told ThePrint. “In many of our richer states, the vaccination coverage (across diseases) was impacted due to the misinformation when compared with the 2005 data,” he added. Kurian quoted data from the National Family Health Survey (NFHS), which significantly showed that the immunisation coverage of Gujarat fell below most backward states — Bihar, Madhya Pradesh, Rajasthan and Uttar Pradesh (UP). In 2005-06, Gujarat’s vaccination coverage was 45.2 per cent — above India’s average of 43.5 per cent. By 2015-16, the state’s immunisation rate was 50.4 per cent but 11.6 percentage points below the national average of 62 per cent. The same government data showed that other rich states too showed a slump. Maharashtra posted a fall of 4.3 per cent in the number of children vaccinated in 2015-16 over 2005-06 while Tamil Nadu, credited for the highest rate of immunisation at 80.9 per cent in 2005-06, recorded only 69.1 per cent of children vaccinated in 2015-16. “That was perhaps the single fake scientific paper in history with the highest human cost,” Kurian said. Another vaccine expert said India only suffered due to ignorance about the importance of vaccines. “I don’t think Wakefield study had any impact on Indian parents directly,” said Jacob Puliyel, a paediatrician at St Stephen’s Hospital, New Delhi. The new study may not increase the uptake of vaccination but will help doctors in convincing the parents, said Yogesh Jain, physician and public health activist at the NGO Jan Swasthya Sahyog in Chhattisgarh.